My second daughter, Yuri, came back home and started preparing for our trip to Germany. Her passport ran out in February this year and at first she applied for a new one. When she got it ten years ago, I did all the procedures for her, but this time I made her do it. She went to the city hall and got a copy from the family register. She had her portrait taken at a photo shop. She successfully applied for it and got it a week later. I'd just told her to get it without any detailed instructions. It might be due to blind parental love, but I felt her growing up. Next, I gave her all the pamphlets and guidebooks that I'd collected up until now. Some of them were sent from the tourist information center of the German city of Freiburg. 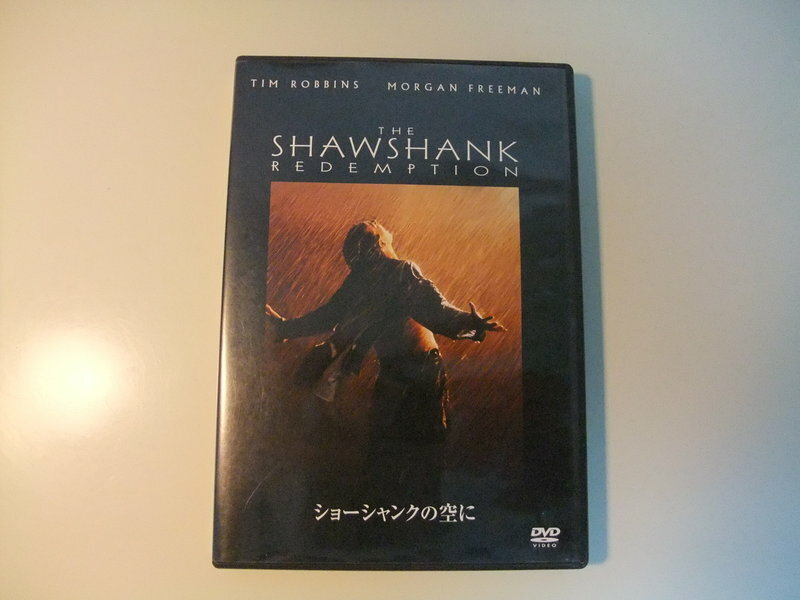 It is written in German, but she can understand German. I'm expecting her to set all the schedules. The development of internet technology brought us an umbelievable convenience for the trip. The reservation of hotels and transportation can easily be done on the internet. You can even know the time schedule of the train between Frankfurt and Freiburg from Japan. However, I'm afraid that she would make a mistake in making the hotel reservations and decided to ask the travel agent to do it. We are going to stay the night of 26th in Frankfurt and leave for Freiburg the next morning. I'm learning German now. Honestly I'd learned it during my college days. It was just for graduation. German and English were essential subjects for the medical course. In other words, learning those languages was not from my desire but just obligation. However, the present condition isn't like that. I really want to acquire German skills for fun. I will be putting my stuff into a suitcase in the next month. I'll leave for Kansai International Airport by ferryboat on Sep. 25th. What is Germany like? I chose Lufthansa Airlines, so at the instant I get into the plane it will be in German. Today I found an interesting expression. "Ich bin hundemüde." "Hund" is "dog" in English and "müde" means "tired" in English. This short sentence says, "I'm dog tired." I was interested in the fact that "dog" is used as an emphasis of fatigue in both nations. Such an expression doesn't exist in Japanese. After starting writing this blog four years ago, I have often felt how hard it is to express the cultural aspect of Japan. Mutual comprehension is essential for peace, though. I think you know of the Japanese Emperor, but I don't believe this expression is suitable. "Emperor" implies "King" or "Czar" along with an autocracy. Japanese Emperor or "Ten-noh" is completely opposite from those. I'd like to compare the "Japanese Emperor" to a "Priest King." Iberian Pig; I didn't know about it, but many co-workers did. 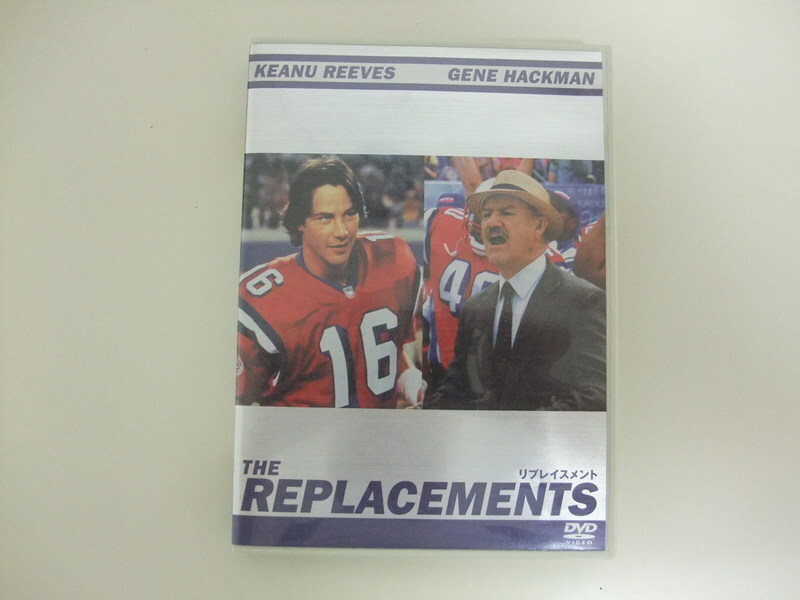 It seems that it's very famous, though I didn't know it. I looked it up on the internet. Iberian Pig is a kind of pig. It is bred only in the western part of Spain. It has usually black feet and nails. They freely feed on natural cereal crops like acorns in the forest of oaks, cork oaks, or they are sent to graze grass, seeds and grass roots. Its fat contains olein acid derived from their food, acorns. 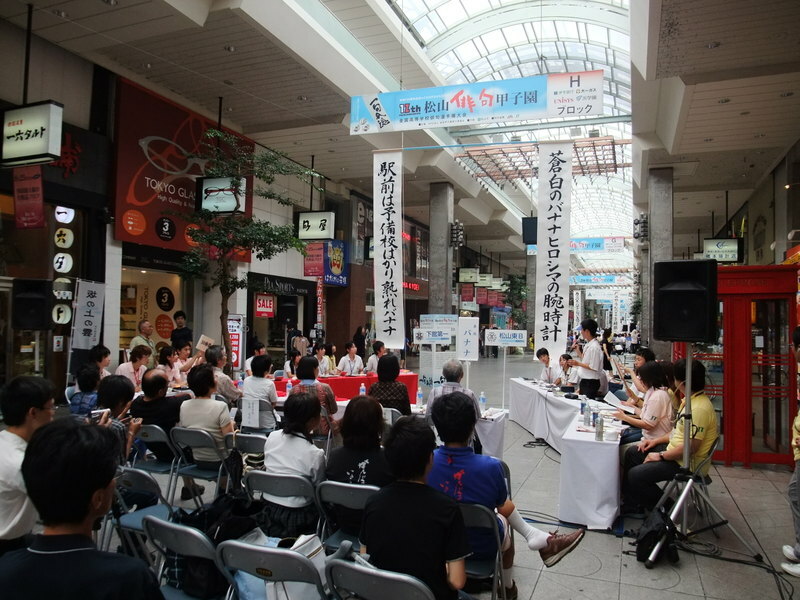 Last night, I attended the meeting of doctors in the neighborhood. After that, we dropped in at a wine bar and found a thing just in front of us that I'd never seen before. It was a leg of the Iberian pig. I'll show you in the picture. Pictures were taken by my cell phone camera and its resolution is terrible, but look at it. I thought it was just a kind of ornament at first glance. 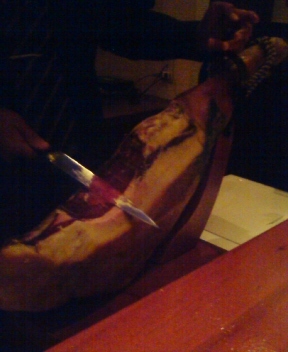 The owner told us that it was an Iberian pig and to try it. The second picture was the plate with some slices of the pig on it. It was the first time for me to eat it and it was not bad to eat with wine. 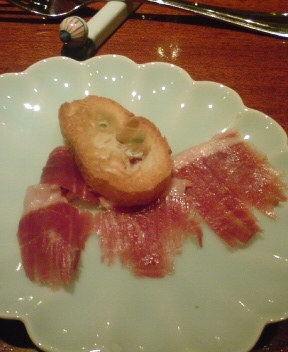 Japanese pigs are bred on food that is common for humans, but Iberian pigs aren't. I thought it's reasonable or useful in case of a food shortage. I got a message from Malta. You can read it on my blog, if you like. I've kept writing my blog for about four years and was counting the number of nations from where comments came. The number has been at a standstill at 49 for the last six months. Finally, the number reached 50 a few days ago. The latest message was from Malta. She is interested in haiku which I wrote about before. She knows something about Japan, but I didn't know anything about Malta. I looked over some websites about Malta and knew the outline of Malta. I wish I'd get the chance to visit the historic island, Malta! It's summer in the northern half of the globe now. It should be hot or extremely hot here in Japan. I'm living in the south of Japan and usually it's hot at this time of the year. However, it's not the same as usual summers. We had a longer rainy season than usual this year and the uncomfortable humidity is still going on. I changed the wall paper of my PC in order to spend the muggy days as nice and cool as possible. 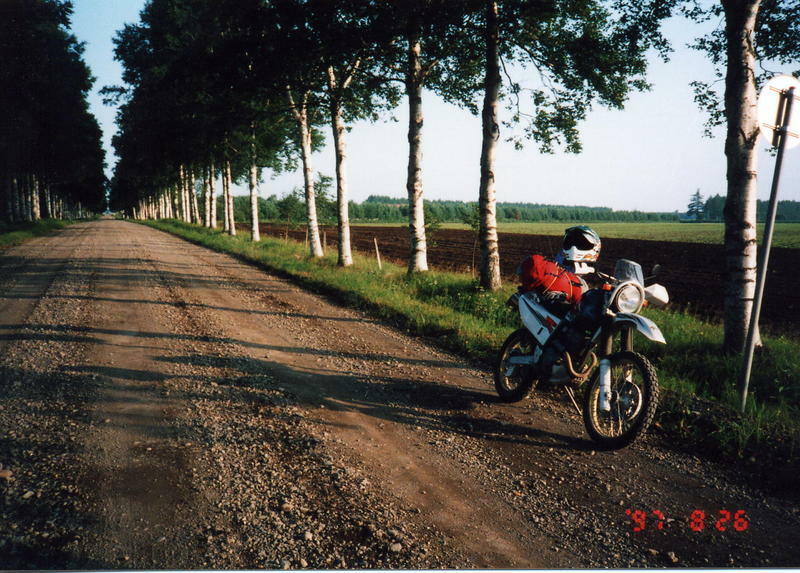 I'll show you and I'd like to share the picture, which I took in Tokachi in Hokkaido, twelve years ago. How do you feel about this straight rough road lined with poplar trees? I have a bad habit that I put everything into drawers that isn't necessary right now, like pamphlets, pens, nail clippers, erasers and so on. Consequently, I always mess up the drawers. 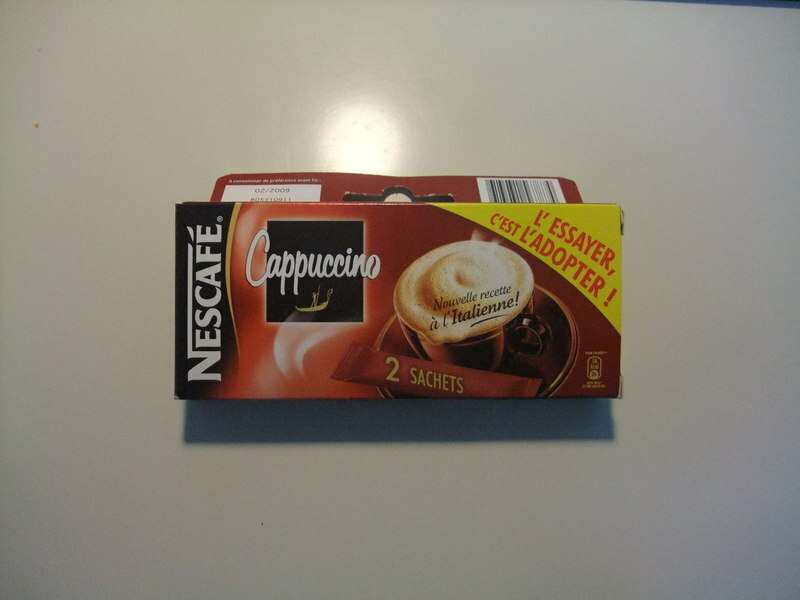 When I cleaned up my drawers today, I found a package of instant cappuccino, which is shown in the picture. I don't remember how it got in my drawer. French words are written on the package and it might be a souvenir from my wife's business trip. I checked the number of its bar code. It starts with 38 as you can see in the picture. I transcribed the code from a website for reference. Where is the number 38? Was this product made in Bulgaria or the former Yugoslavia? Or, is the number wrong? 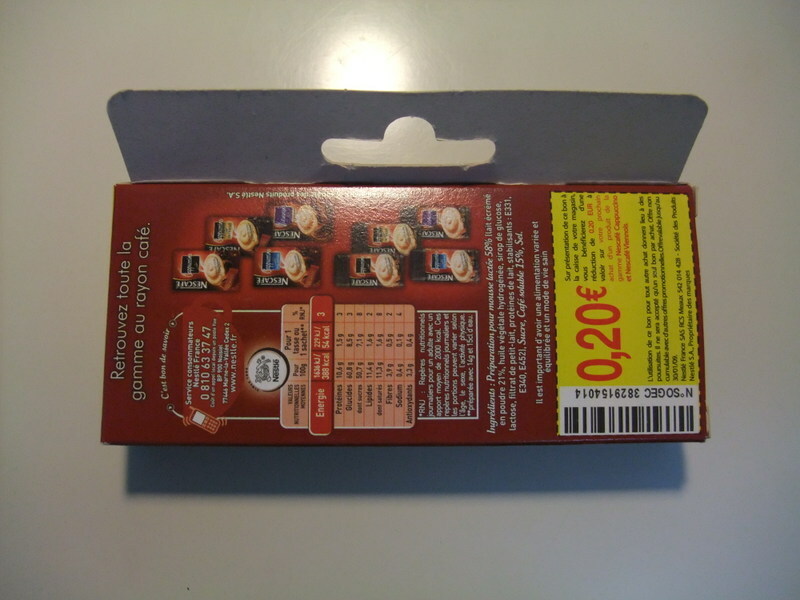 Though French words are written on the package, should it have read Bulgaria? Anyway, the manufacturer is reliable and it's not from China. I decided to drink it. I never trust products from China. At that time, I found the number "02/2009". It must show the recommended use-by date. It apparently exceeded its best-before date. What should I do? It was carried all the way from the back side of the earth. I tried it and it tasted good. Finally, my favorite daypack got broken. I bought it in Whistler in 1994. I took a ride on a snowmobile for the first time that year. 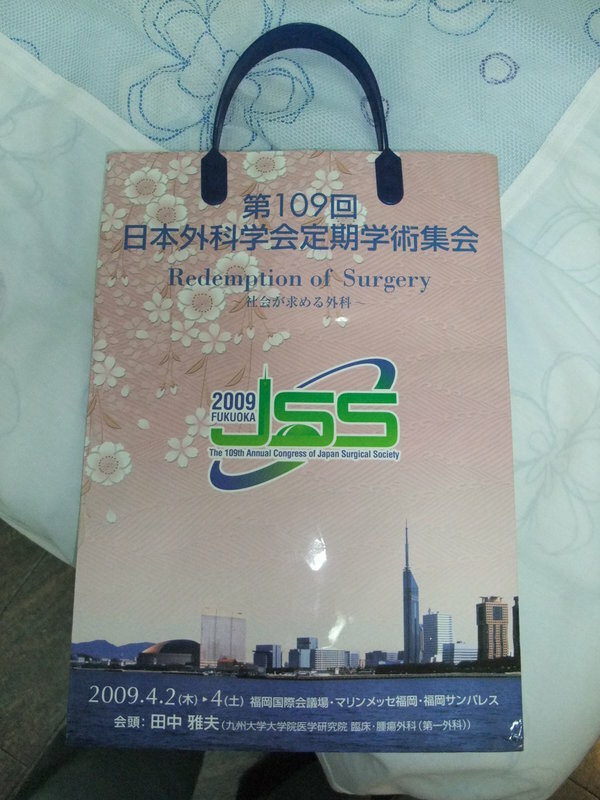 I didn't bring my backpack from Japan at that time and I got one there. When I moved onto the snowmobile, I had to carry my stuff with me. 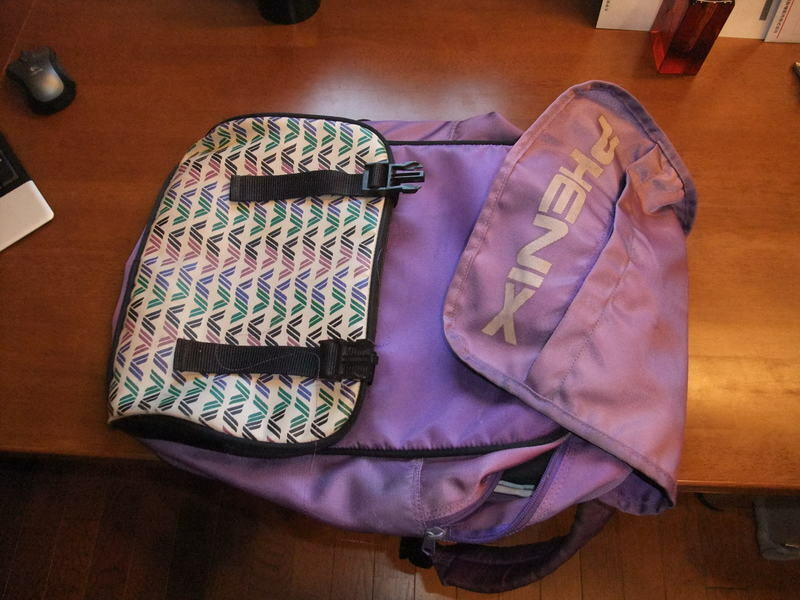 Though this daypack was nothing special and was a very common one, my mother especially liked it and took it to more than ten countries with her. The zipper jammed and couldn't be repaired. It's a shame, but I decided to throw it away. As many people know, Germany is the beer country. I'm making my first visit to Germany with my second daughter next month. I can't wait. 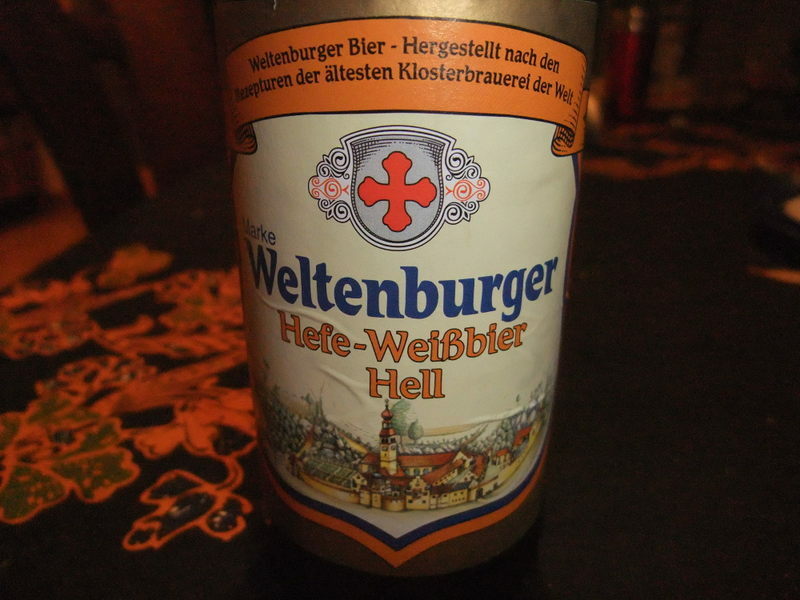 I'm learning German now and this beer became enough motive for learning German. I'm going to record my trip in this blog. Don't miss it! Haiku is a Japanese traditional literature. It is often called the world of 17 letters. An infinite of universes can be described in only 17 letters. My hometown, Matsuyama City, has produced lots of haiku writers, like Siki Masaoka and Kyoshi Takahama. Therefore, most haiku freaks want to come to Matsuyama and Matsuyama is likened to Mecca for Muslims. 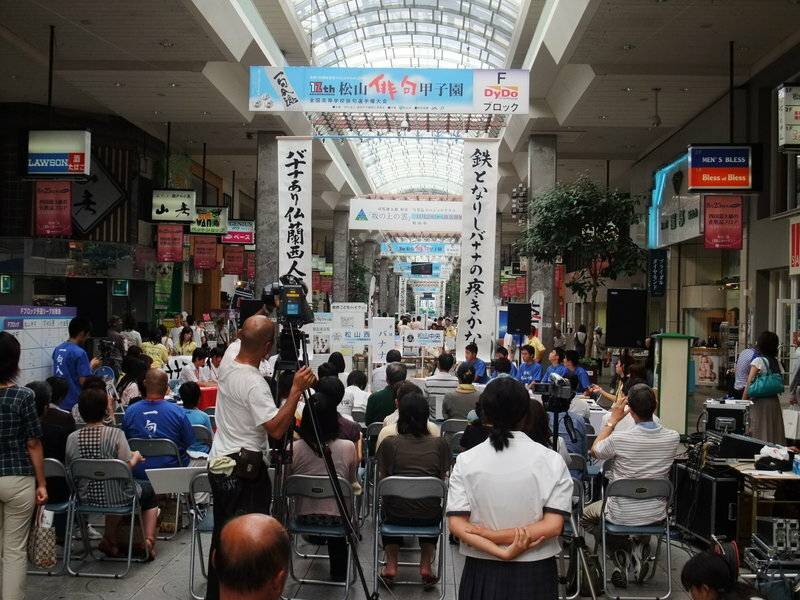 The pictures show the high school students' haiku competition that was held on Aug. 8th. 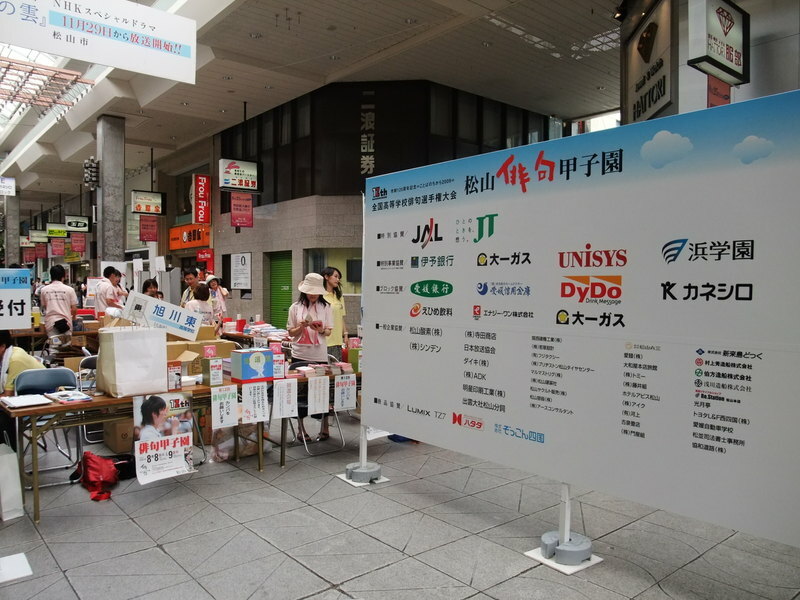 The busiest car-free mall was used as the competition site. 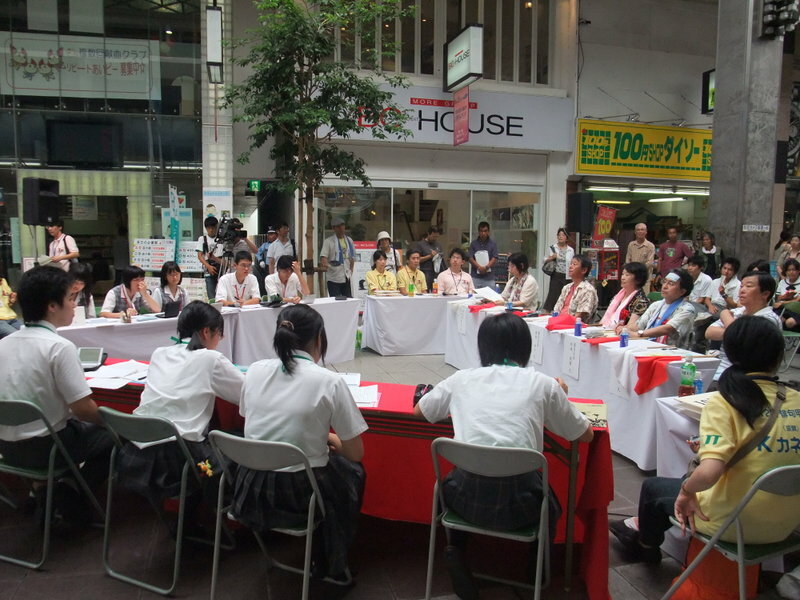 Five representatives of each high school were at the red and white table, and announced their reviews and rebuttals about the opponents' haiku. The five judges decided which team had the better knowledge and skills and raised a red or white flag and the team which won more than three flags sealed the victory. The high school that was the No.1 of each pool play could go on to the tournament. I'm sorry, my alma mater couldn't get to the tournament. Driving rally cars is one of my hobbies. I used to join the competition as a driver in my younger days, but recently I just watch it or support the staff members as one of the rescue members. 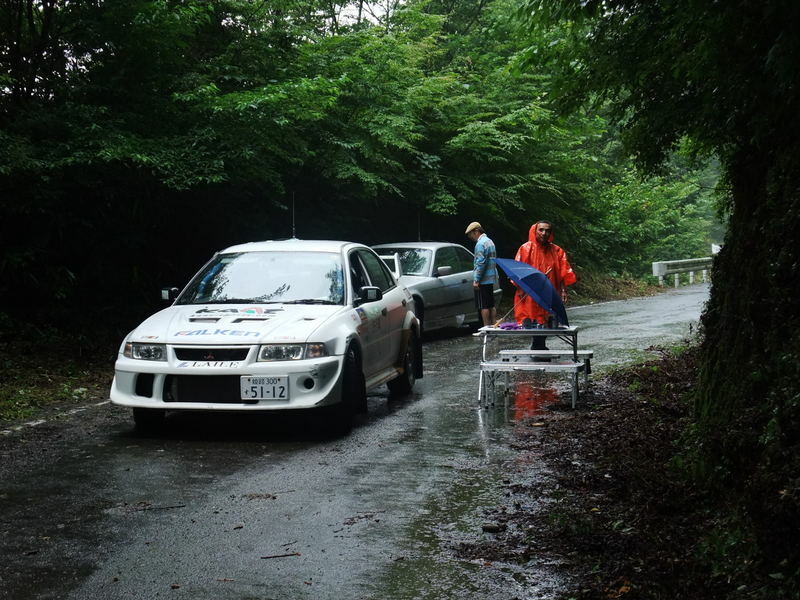 Today I'd been in the forest all day, where the "Teppen" rally was held. "Teppen" in the title stands for the highest place. 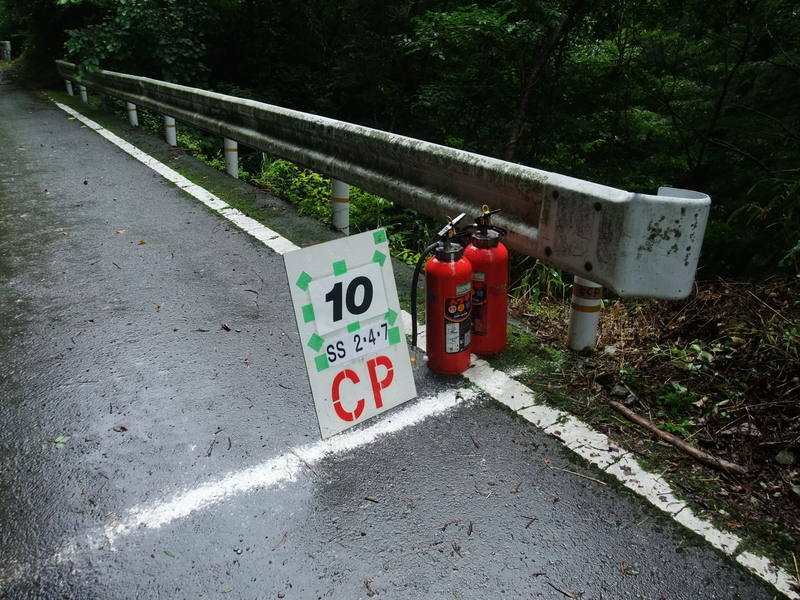 The main course of the rally was in the highest area in Shikoku, so the rally was named like this. 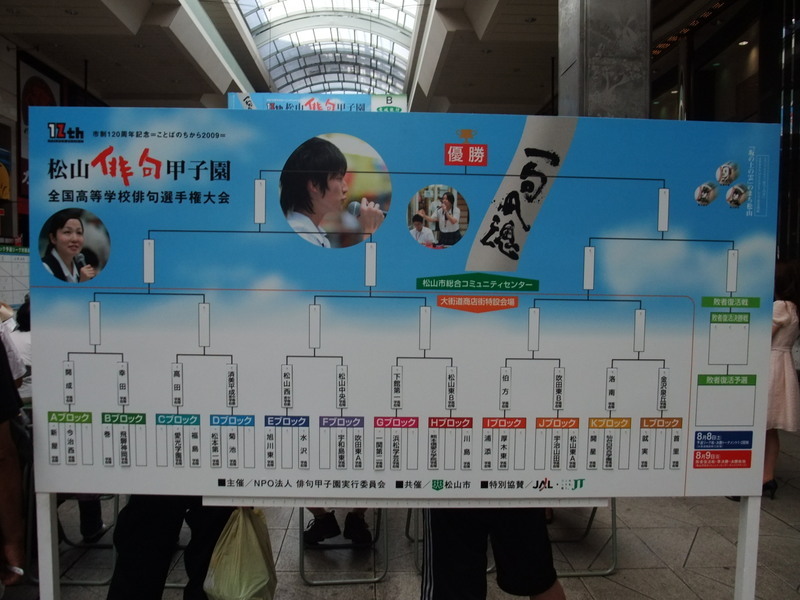 Shikoku is the small island containing Ehime prefecture. The rally went on as scheduled and there was no accident causing injury or death. This was a relief off my mind. However, the weather was terrible. Matsuyama Local Meteorological Observatory issued a heavy rain warning on the previous night and I brought my rainsuit. This rainsuit was new. As I posted an incident a few weeks ago, my heavy-duty one was torn and replaced in a nearby sports goods shop. Looking for it in the shop, I thought that if I intended to climb up a difficult mountain again, I should buy a heavy-duty one that I could rely on in the torrential rain. However, I had no plan of climbing then, and I decided to skimp the money and not to buy the high-quality one. Consequently, I had a tough time today because the normal one that I got was no use. 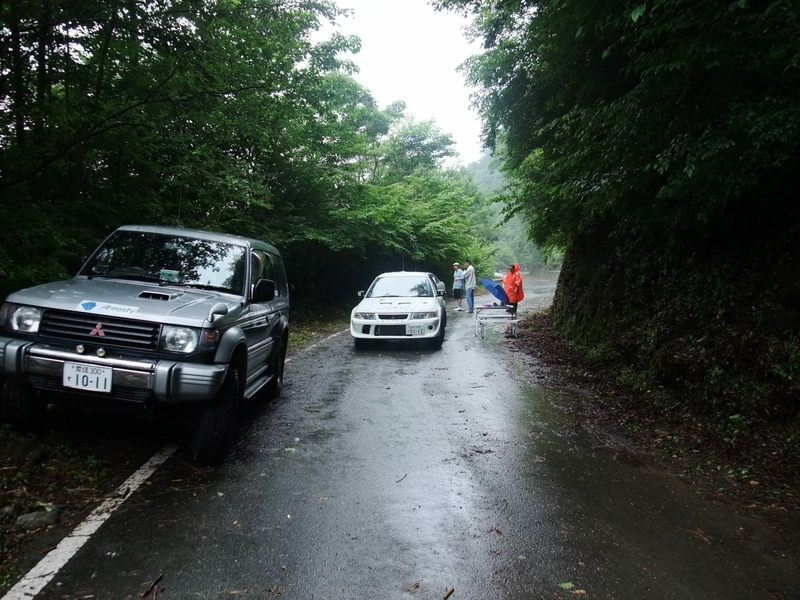 The picture is when the leading vehicle had just arrived at my check point.